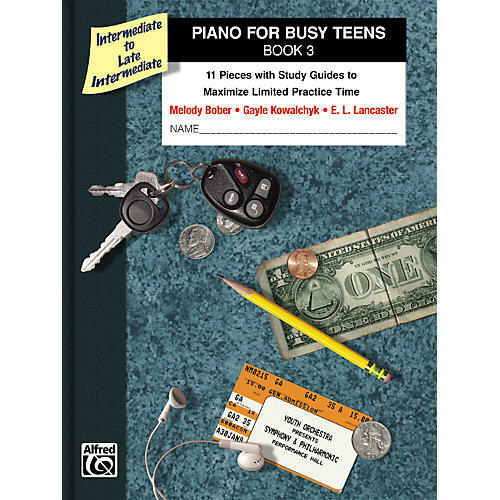 This method is designed for teens who still enjoy music and want to continue their study but have limited practice time. Each book includes solo pieces in varied styles, a Hanon study to develop technical skills and a duet that students can play with a friend. A Study Guide for each piece helps the student practice efficiently. The guide contains four sections: • 1-Minute FYI, 5-Minute Warm-Up, 15-Minute Practice Plan and 5-Minute Finishing Touches. Titles: Boogie Blues (Bober) • Canon in D (Pachelbel) • Exercise No. 7 (The Virtuoso Pianist) (Hanon) • Spinning Song (Ellmenreich) • Prelude in E Minor (Chopin) • Jazz it Up! (Bober) • Solfeggio in C Minor (Bach) • Wings (Bober) • Fr Elise (Beethoven) • Elite Syncopations (Joplin) • Wild River (duet) (Bober).